The Lady Elizabeth Butler prints and pictures below, represent a small selection of the many works available. If there is anything by Lady Butler that you are looking for then please contact us on 07889 800857. Born at Villa Claremont in Lausanne, Switzerland, Lady Elizabeth Butler specialised in painting scenes from British military campaigns and battles, including the Crimean War and the Battle of Waterloo. The Roll Call (purchased by Queen Victoria),The Defence of Rorke’s Drift, and Scotland Forever!, showing the Scots Greys at the Battle of Waterloo, (Leeds Art Gallery) are among her better-known works. She wrote about her military paintings in an autobiography published in 1922: “I never painted for the glory of war, but to portray its pathos and heroism”. She was the daughter of Thomas James Thompson (1812–1881) and his second wife Christiana Weller (1825–1910). 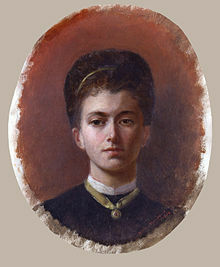 Her sister was the noted essayist and poet Alice Meynell. Elizabeth began receiving art instruction in 1862, while growing up in Italy. In 1866 she went to South Kensington, London and entered the Female School of Art. She became a Roman Catholic along with the rest of the family after they moved to Florence in 1869. While in Florence, under the tutelage of the artist Giuseppe Bellucci (1827–1882), Elizabeth attended the Accademia di Belle Arti. She signed her works as E.B. ; Elizth. Thompson or Mimi Thompson (she was called “Mimi” from her childhood). Initially Lady Elizabeth Butler concentrated on religious subjects like The Magnificat (1872), but upon going to Paris in 1870 she was exposed to battle scenes from Jean Louis Ernest Meissonier and Édouard Detaille, and switched her focus to war paintings. With the painting Missing (1873) a Franco-Prussian War battle scene, depicting the common soldiers’ suffering and heroism, she earned her first submission to the Royal Academy. After The Roll Call was shown in 1874 at the Academy, she became a nineteenth-century celebrity, due to the paintings’ immense popularity. As the paintings toured Europe, along with photographs of Elizabeth, she gained even more notice because people found out that she was both young and pretty, something normally not associated with painters of battle scenes. It also helped that during this time there was an incredible amount of Victorian pride and romanticism for the growing British Empire. Lady Butler’s topics reflected such romanticism but her paintings were generally realistic in detail with aspects such as confusion, mud and exhaustion being accurately portrayed. Her works tend to focus on British troops shown in action, or shortly after it, but avoiding moments of close hand-to-hand combat. They are often shown as their opponents might have seen them, but relatively few of the opponents themselves are shown. Her career and fame peaked with her 11 June 1877 marriage to Sir William Francis Butler (1838–1910), a distinguished officer of the British Army, from Tipperary in Ireland. Not only was she now married, breaking the heart of many young men, but now she would travel to the far reaches of the Empire with her husband and raise their six children. During this time Lady Butler came under the influence of her Irish husband’s belief that the colonial imperialism of the United Kingdom and other European powers might not be in the best interest of the natives in colonial lands. However she continued to paint scenes showing the valour of the ordinary British soldier. Butler also did some black and white illustration, including of poems by her sister, Alice Meynell, and of works by Thackeray. On her husband’s retirement from the army, she moved with him to Ireland, where they lived at Bansha Castle, County Tipperary. She showed pictures at the Royal Hibernian Academy from 1892. Among the paintings that she took with her to Co. Tipperary was a set of water-colours that she had painted while with her husband in Palestine. During the Irish Civil War they were transferred to her daughter in Gormanston Castle for safe keeping, but were almost all destroyed later by German bombs in London during World War II. Lady Elizabeth Butler was widowed in 1910, but continued to live at Bansha until 1922, when she took up residence with the youngest of her six children, Eileen, Viscountess Gormanston, at Gormanston Castle, County Meath. She died there shortly before her 87th birthday and was interred at nearby Stamullen graveyard.